Stars of CREED II turned out for the World Premiere in NYC! We’ve got red carpet photos and interviews with Michael B. Jordan and Tessa Thompson. 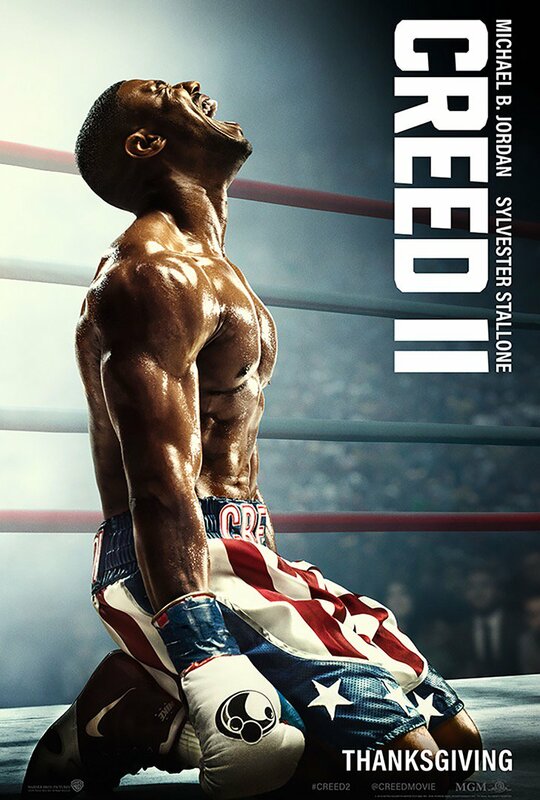 Friends, you know that CREED II is *the* movie we’ve been waiting for, and with Thanksgiving this week, there’s time to eat good food, hang out with friends/family, and then head to the theater for some great, dramatic storytelling. On November 14, Metro Goldwyn Mayer Pictures and Warner Bros. Pictures hosted the World Premiere of CREED II at the AMC Lowes Lincoln Square, with the after party at the Rainbow Room. Guests included Director Steven Caple Jr., Michael B. Jordan, Tessa Thompson, Dolph Lundgren, Florian “The Big Nasty” Munteanu, and Sylvester Stallone. Thanks to our friends at Annapurna Pictures, we have 18+ images to share from the red carper event, plus interviews with starts Michael B. Jordan and Tessa Thompson. Michael B. Jordan, he talks about the multiple dimensions of CREED II: romance, revenge, comedy, and more. He also shares how much he enjoys being part of bringing the ROCKY franchise to a new generation. Tessa Thompson also discusses how she enjoys being able to come back to CREED, especially because this film is so focussed on family and humanizing such an iconic villain like Drago. She also talks about how fans and fellow actors, alike, find inspiration in Sly Stallone and ROCKY. CREED II hits theaters on November 21, 2018!